On most weeks, I take my son to Dishoom, an amazing Indian restaurant in our neighborhood. He always gets the same thing – a bacon naan roll with a side of mushrooms. The only thing missing from his delicious meal is a yogurt lassi, which I’m sure he would love, but I have not been able to order for him because of his dairy allergy. 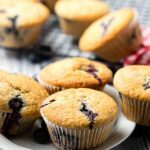 As a mother, it’s hard to see my little one skip out on amazing and tasty things, so I took things into my own hands (literally!) and whipped up a vegan lassi for him. 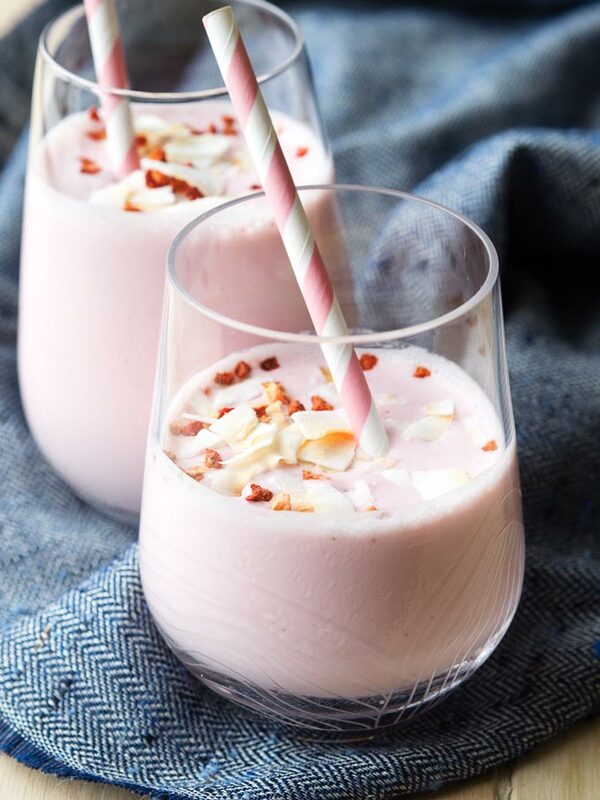 Combining some of his favorite flavors, I now have a recipe for Strawberry Lassi with Rose, made vegan with the use of coconut yogurt recipe. Well, the good news is that making lassi at home is not hard. Lassi recipes basically consist of blending yogurt, water, and a flavor together. However, a lassi wouldn’t be a lassi if it doesn’t have yogurt in the ingredients. To make this lassi recipe vegan, I use coconut yogurt instead of regular yogurt. So this is still a yogurt lassi, but more specifically a non-dairy yogurt lassi. 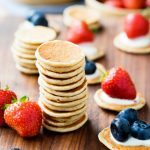 Lassis are incredibly customizable since it starts with a neutral base of yogurt and water. 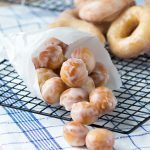 From there, you can flavor it however you want with sugar, salt, fruit, or spices (mango lassis are a very popular option). 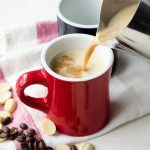 I always try to avoid adding unnecessary sugar into any of my recipes though, and this Strawberry Lassi recipe is no exception. 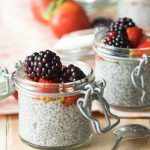 Instead, I like to rely on the natural sugars in fruits to give sweetness to a healthy breakfast. This particular lassi recipe mainly features sweetness from strawberries. 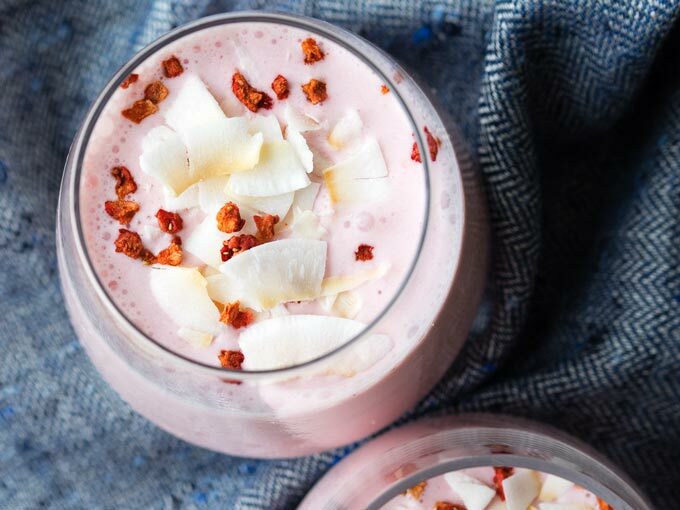 Additionally though, this Strawberry Lassi with Rose uses both coconut water and coconut yogurt to really bring out that natural coconut flavor. 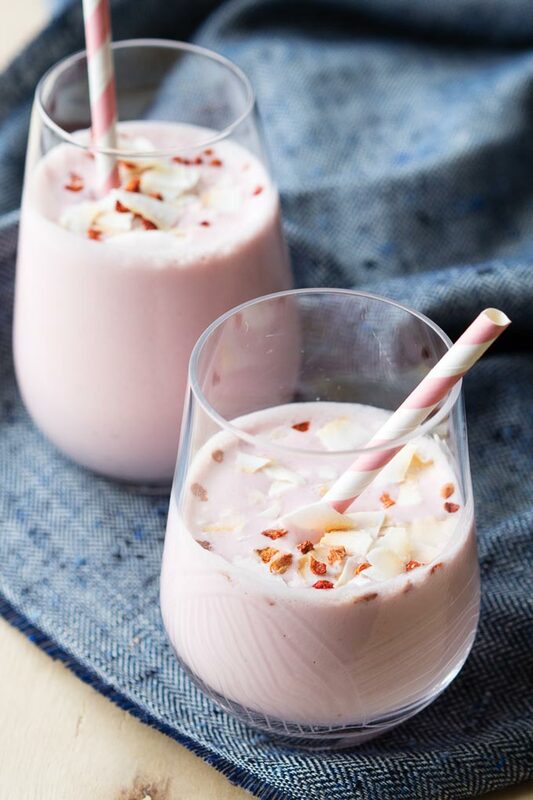 But to give this lassi recipe a little twist, I added a dash of rose water to it, which mingles nicely with the coconut and strawberry flavors. 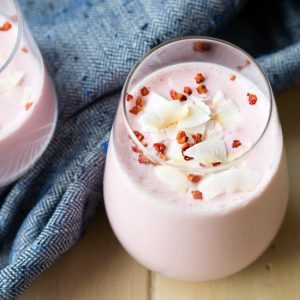 The blending of the red strawberries and the creamy white coconut yogurt gives this vegan lassi it’s alluring pink color. 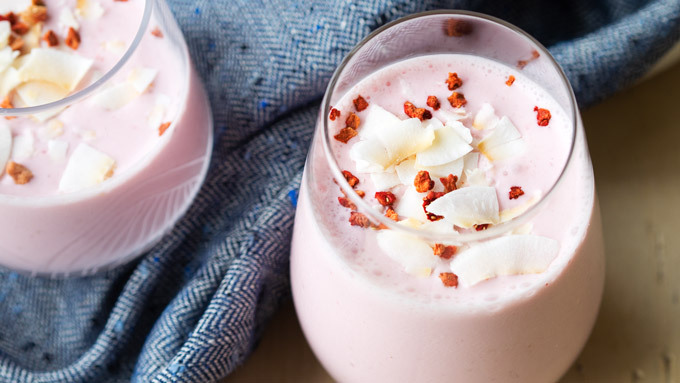 When you top it with a sprinkle of freeze dried strawberries and toasted coconut, it becomes a beautiful (and healthy) drink to bring to the brunch table. If you want to jump on the mango lassi bandwagon, I would directly substitute mangoes in for the strawberries. It won’t exactly be a virgin Piña colada lassi, but the mango and coconut flavors will be a close tropical alternative. Regardless of whether it’s a strawberry and rose lassi or a mango lassi, try making your next lassi vegan with coconut yogurt for a healthy and flavorful alternative! 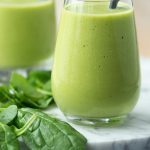 Blend everything together in a blender or with a hand mixer. 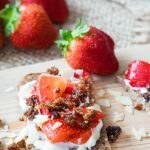 Pour into glasses and top with freeze dried strawberries and toasted coconut flakes, if using. Serve immediately. If you are doing a mango version do you add rose water? Hi Amanda, yes – you can keep in the rose water. If you want, you can start with half the amount, an adjust as you please. Enjoy! It looks so nice! 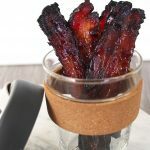 Love your photos and your presentation! Strawberry lassi is so refreshing, this exactly is for me! 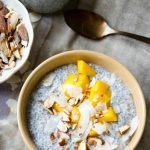 Have you ever tried making lassi with other non-dairy alternatives? 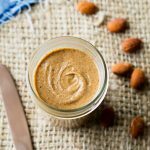 Is it worth trying you think? I haven’t tried, but the thickness of the coconut yogurt makes it particularly suitable for making a creamy lassi. Let’s give it a try next time!